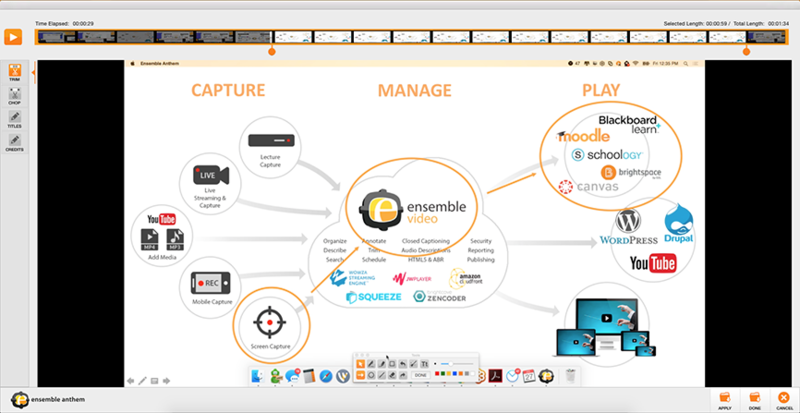 Create screen, webcam and audio recordings on Macs, Windows and Classroom Teacher Stations! 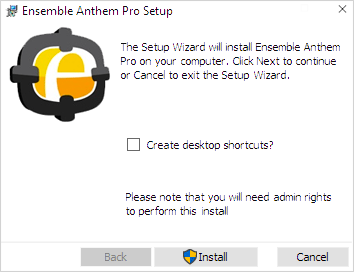 Ensemble Anthem Pro is an MSI-based installer that can be leveraged by Windows software-deployment managers and other users who need a deployable installer for Ensemble Anthem. 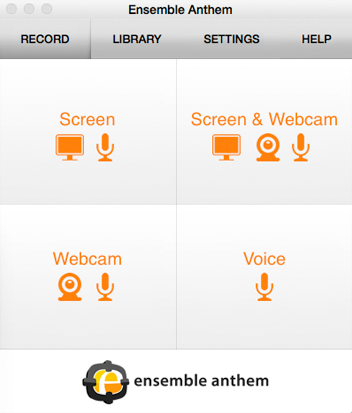 Faculty can still use the simple user interface to record in a classroom on teacher stations, in computer lab or in large auditorium with Ensemble Anthem Pro. Finally, users can record System Audio to capture sound from YouTube™ videos and other media that they are playing on the computer. What if a faculty member logs off of the teacher station computer before the recording has finished uploading to Ensemble Video? No problem! The upload will resume in the background once a new user logs into the teacher station computer. 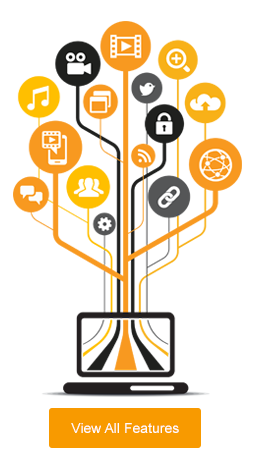 In other words, normal logging on and off will not negatively impact uploads and recordings. What if a faculty member restarts the teacher station computer before the recording has finished uploading to Ensemble Video? No problem! 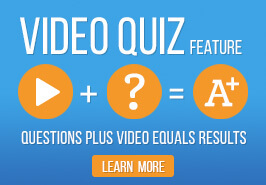 The upload will restart automatically when the teacher station computer is restarted. In other words, normal computer reboots will not negatively impact uploads and recordings. What if a faculty member shuts down the teacher station computer before the recording has uploaded to Ensemble Video? No problem! 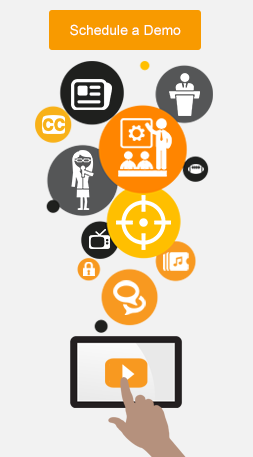 The upload will restart automatically when the teacher station computer is restarted. In other words, normal computer shut downs will not negatively impact uploads and recordings.